All human life, once born, has to reach its logical end, death. That eternal truth was taught to us by our eternal Teacher, Gautama Buddha. Yet when it happens to your loved ones, it is difficult to bear. No person should compare the loss of his or hers to another else’s loss. It is condescending and I do not wish to indulge in such idle and patronizing laments. But my mother’s loss is great; it is, albeit unavoidable, just cannot be reconciled in the mundane mind of mine. 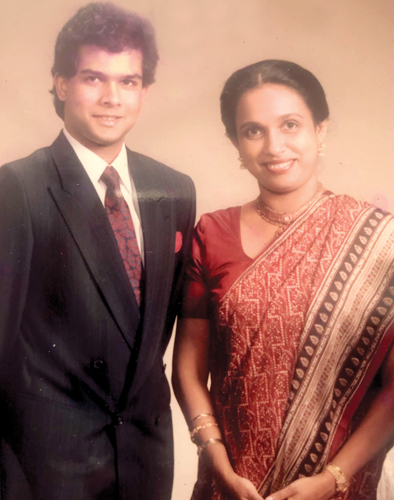 Ammi, as Varuni, Mayantha and I called her so fondly, never faltered in her attention to our minutest matters, whether it’s about another timely meal-taking or procrastination of our homework. Her burden was monumental. She carried it with grace and ease. She really indeed was an incomparable enchantment to watch; her attention to detail whether in her preparation of Appachchi’s daily routine or her children’s school work was a load of work no ordinary woman was privileged to carry. 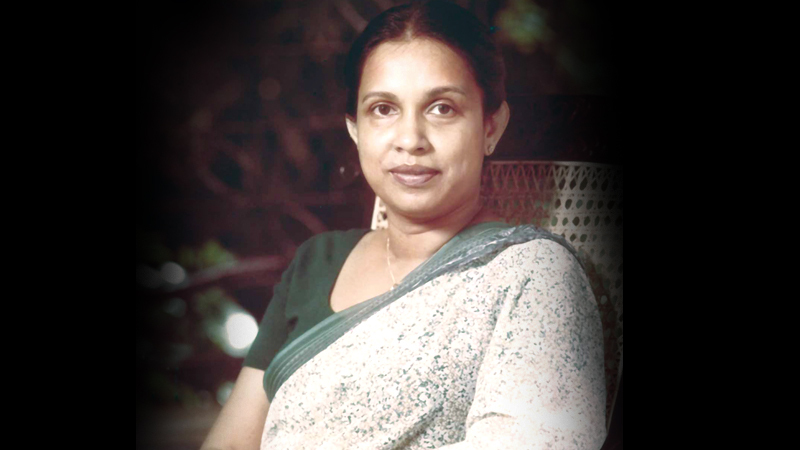 When Appachchi became a brutal victim of the murderers of the Liberation Tigers of Tamil Elam, she gathered her strength, which we didn’t know she had kept hidden away from us, and rose to the occasion, hesitatingly consenting to lend her name for the then Presidential Elections in 1994. That was a time of turmoil and uncertainty. Our leader was dead; the United National Party was in disarray; the UNP, the last political bastion of fair-minded and decent men and women had been decimated; decapitated beyond recognition and all its brains and brawn were turned inside out and upside down. Politics had become a dangerous pastime; its rising heads were being watched and followed and gotten rid of. Such was the destruction done not only unto the UNP, our Party, but also unto the very psyche of our nation. In such a stormy and disturbing time and against such an unforgiving circumstance our Ammi stood her ground; she decided to carry on with her slain husband’s unfinished journey. She was not successful in that attempt. Then she knew that, politics was not her forte. Her dedication to Appachchi’s cause, that of dissemination of knowledge to our youngsters so that they would be better equipped to confront the modern society’s challenges with ease and confidence. While Appachchi was very much at ease with the rural farmer, whether he met them in his office or on a sandy bund in the arid zone, Ammi was quite at home with the spouse of the same farmer, inquiring after their children’s education and health. Stories are many and their interpretations are even more. Ammi’s success lay in the fact that she always looked at the obvious first and then their nuanced shades later. Appachchi’s training was to analyze a complex situation and reduce it to a couple of understandable options; J R, N M, Colvin and his legal Guru Neville Samarakoon, influenced his modus operandi; Ammi wrapped that thinking with a coating of sense and sensibility. Dan Rather, the famous television reporter of Columbia Broadcasting System remarked that “the great lesson my mother and father gave me was almost invisible. It was a strong sense of being rooted”. While our Appachchi travelled all over the country, attending to the numerous needs of the farmer community and the Mahaweli settlers, he was never uprooted from the Kotmale soil he so respectfully remembered; Ammi kept us rooted to our books and traditional values and day-to-day little things such as being punctual (Appachchi was notoriously deficient in that). Being born to such a wealth of knowledge, grace and decency, to emulate their exemplary lifestyle could be hard and mind-sapping. After Appachchi’s demise, our Ammi provided us with that subtle yet unmistakable sense of leadership which usually dwells in the minds of the great. Ammi was such a great person. The absence of a father-figure could be an immense disadvantage to growing up children. Although we were all grown up by the time our Appachchi met with his death, the leadership exercised by Ammi went a long way and in uncertain terms would she compromise on her deeply held beliefs in human values and fair-play. We hope that all three of us, Varuni, Mayantha and I are fortunate and privileged to have learnt from the best. Ammi’s influence on all three of us is enormous and that influence is showing its beneficial effects, both in politics and in ‘real’ life. Her timely advice in matters of politics has helped me see the other side which sometimes is not seen by me or not allowed to see by circumstantial interference. Her sense of patience, as was an asset to herself, has helped all of us make better and more balanced decisions in our lives. Keeping all three of us together all the time and helping us think together as one single unit of family is indeed a greatly demanding task for a man, leave alone for a woman who has lost her husband to the cruel winds of political slaughter. Her involvement with the continuation of Appachchi’s mission and providing guidance to the professionals who are charged with the actual running of the Foundation and the Institute kept her busy despite her failing health. But the cruel master of nature took charge and brought her life to an end, well before time. She was 76 years young when she passed away. Her spirit mixed together with that of Appachchi would linger on with us. Ammi’s departure is grieved not only by us but by many around the country. But as far as Varuni, Mayantha and I are concerned, she was, is and will be our Ammi forever.